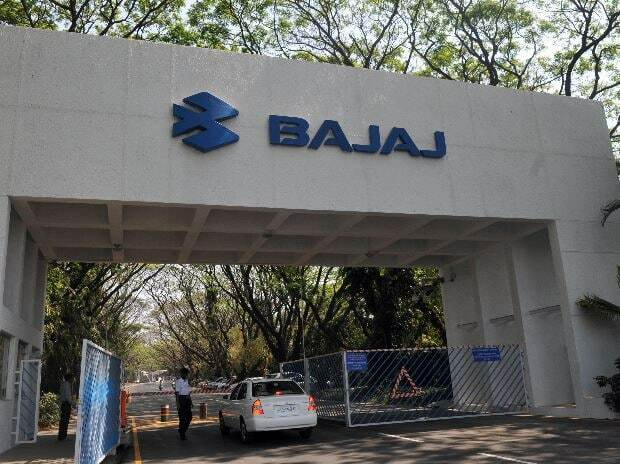 Bajaj Auto pared gains afetr hitting a new high of Rs 3,473, up 2% on BSE, after the company reported poor Q3 numbers. The company reported healthy sales growth for January, with total sales jumping 46% at 353,147 units over the previous year. It had sold total 241,917 units in the same month last year. The company’s overall motorcycles sales jump 36% year on year (YoY) at 288,936 units. Three-wheelers saw the highest ever sales in a single month with the company sold 64,211 units, up 113% on YoY basis. Bajaj Auto had reported 30% YoY jump in total sales at 292,547 units, with motorcycles sales grew 13% at 228,762 units over the previous year. On cumulative basis, for the first 10 months (April to January) of the current financial year 2017-18, the company total sales of the company increased by 6% at 3.3 million units compared to 3.1 million units sold in the same 10 months of last financial year. Bajaj Auto is scheduled to announce the unaudited financial results for the quarter and nine months ended 31 December 2017 (Q3FY18) today. At 09:54 AM; the stock erases its early morning gains, trading flat at Rs 3,406 on BSE, as compared to 0.96% decline in the S&P BSE Sensex. A combined 278,102 shares changed hands on the counter on BSE and NSE so far.